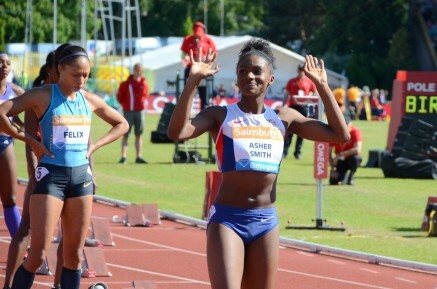 28th August 2015 – Making her individual debut in a World Championship Final Dina Asher-Smith (GBR) capped an incredible 200m series with her third PB in three races and in the process broke the 31 year old British Record. In arguably the greatest 200m race of all time that saw three women run under 22 seconds Dina finished in fifth position with a time of 22.07. This dipped inside Kathy Cook’s long standing 22.10 seconds and in addition also broke the World Age 19 best making Dina the fastest teenager ever over 200m, taking the record of none other than Allyson Felix. Matthew Centrowitz (USA) continued his smooth progression in the mens 1500m taking an automatic qualifying position for the final. In a very competitive race Matthew maneuvered his way through the field over the final 400m to finish fourth in 3:43.97.